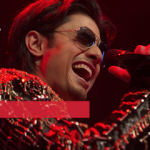 Coke Studio MTV Season 4 is a new song of Amit Trivedi for Coke Studio MTV Season 4 which is about eternal love. It was released on 1 Mar 2015 on Youtube. The song Teriyaan tu jaane is composed by Amit Trivedi and sung by Amit Trivedi, Harshdeep Kaur & Jyoti Nooran. The lyrics of the song are penned by Irshad Kamil. 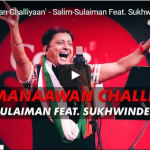 The song is produced by Amit Trivedi and released under the Coke Studio MTV.